We believe that the key to helping you maintain and grow your operation is through the timely and efficient servicing of equipment. Our service team is staffed by factory certified technicians who know a variety of machines, as well as incredible trouble shooting abilities. 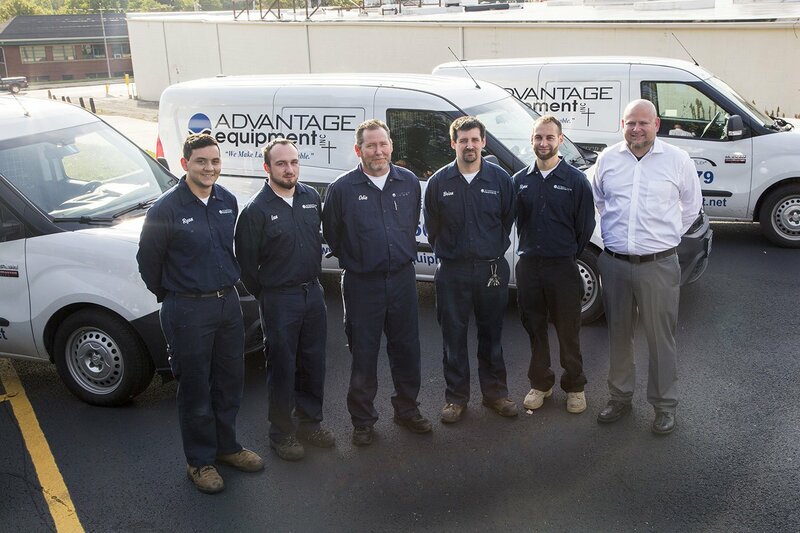 Each of our technicians has received training from our manufacturers. About Our Technical Service & Repair Team. Trained and Seasoned Veterans for any issues that may arise. When a machine becomes out-of-order, it results in lost business and/or productivity to your establishment. For this reason, we prioritize quick and accurate technical servicing with most calls being completed within 24 hours. We know that when a machine is down, it hinders your operation. That’s why we are able to provide most parts and technical service within 24 hours! Parts For Your Commercial Laundry Needs. Our fully stocked parts department includes the most common parts for most major brands. These are available over-the-counter or by phone, fax, or Internet order. For the parts that are held in-house, they’re typically shipped within the same business day. Other non-stock parts can be drop-shipped direct from the factory in either overnight shipping, or within a few days. Please complete the form below for Parts or Service.